14th October 1915. Arthur Badcock, C Social 1908. Lt, 6th Bn, Yorkshire Light Infantry. 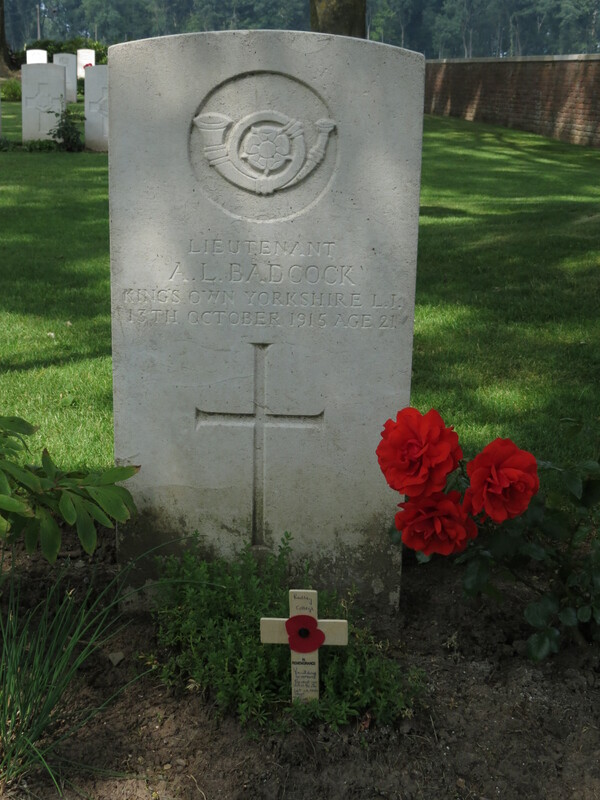 Killed in action, Battle of Loos. 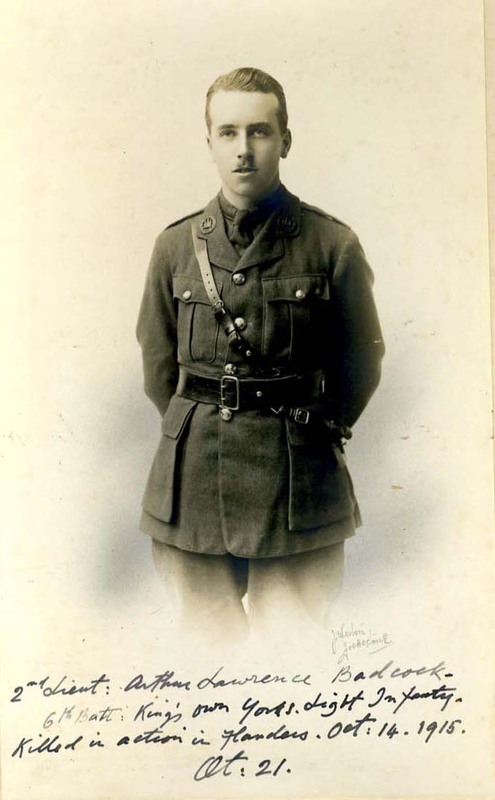 Posted in Commemorating the Fallen of WW1 and tagged Battle of Loos, Flanders & France (Western Front), killed in action, Lieutenant, Marching in Memory for Combat Stress July 2015, medic on 14 October, 2015 by archives602.